I’m not as good as I’ve led people to believe. There are many things I regret doing or not doing. You too? Probably. God knew that we could never live up to his standards. We can’t even measure up to our own standards, so how could we hope to approach his perfection? That’s why Jesus volunteered to lower himself to our world and redeem us when we couldn’t save ourselves. Have you ever thought what that was like for him? My little brother once had an ant farm. I sat and watched those little buggers hustle around, moving pieces of dirt, making tunnels, carrying food. They were so busy. Ants . . . EWWWW! Then I imagined what it would be like to be in there with them. Not ideal. First of all, I don’t like tunnels so I wouldn’t care to help dig one much less live in one. I’d definitely want to change the sleeping arrangements. Second, ants creep me out. I don’t like them in my house, on my sidewalk, or anywhere around me. Their busy little legs tickle when thy crawl across my foot, but it creeps me out. And when they bite, my ankle can swell up for days. 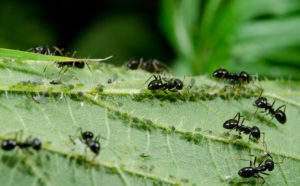 Ants are always working, carrying items up to 50 times their own weight. I’ve never seen one take a coffee break and put their numerous legs up for a few minutes. When I work hard for hours, I’m wiped out for days, so no way could I keep up with the rest of the army. If it would be so difficult and disgusting for me to become an ant, how much more would it be for Jesus to become a human? Here he was, God of the universe, King over everything ever created. Yet he willingly gave it up so that all of us repulsive little ants could be forgiven and become part of his family. He even knew that those horrible little creatures wouldn’t accept him but would instead abuse and murder him. Yet he offered himself as a sacrifice to give us grace that we could never deserve. That’s what Christmas is all about: Christ came down to our puny little ant farm to help us dig out our tunnels and to show us a better life. He offers us grace to step out of the dirt of our lives and into the light of his glory. What will you do with this amazing gift? When we receive a gift, we have to open it and accept it or it just remains a pretty package under the tree. Let’s open and accept this gift of grace.